By her sister Margaret Ryan. Our Father owned a mechanical business called LS Watson in Pingelly, in which Enid assisted from a young age. I think Dad always wanted sons and Enid happily filled those shoes. She felt Dad needed her help as all the able bodied men had gone off to war and she quickly became a whiz with spare parts. Assisting Dad in producing ammunition for the war in the early '40s sparked her interest to enlist. She had the forms, but never filled them in; her help was needed at home. As a partner in the business, Enid kept it going for a few years after our parents' retirement to Albany. She soon followed and took her skills with her, beginning work at Stirling Rural Services in the Spare Parts Department. The men always got a shock to find a women working there. Once her colleagues realised she knew what she was talking about, they would refer all their enquiries to her. "Ask Ms Watson, she'll know," they said. 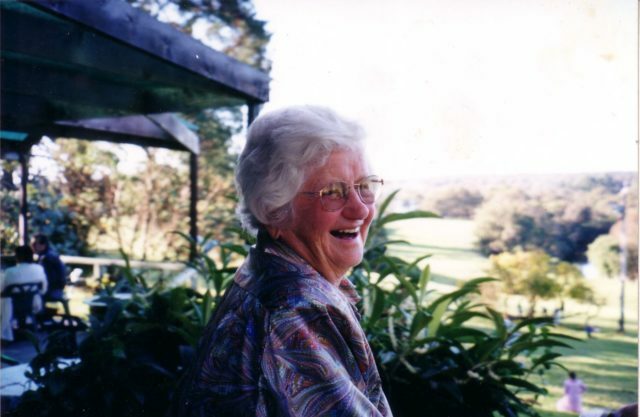 Her charity work really took off after the move to Albany from which time she truly dedicated her life to the community, serving in 16 organisations, including the Albany Regional Hospital, Silver Chain, Royal Flying Doctor Service and the Uniting Church. She was a Friend of the Albany Regional Hospital for 30 years. She'd work all day then head over to the Friends of the Hospital shop to volunteer there into the night. 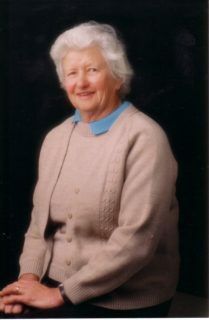 Enid was the organiser of regular street appeals, she would create rosters, count donations, organise raffles and donate what she could of her own. 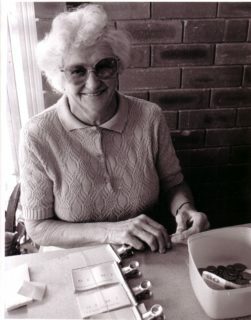 Her favourite charity was the Association for the Blind to which she left some money when she passed. They named a dog, Nina, in her memory. 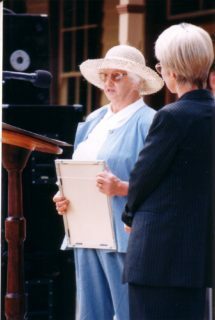 Enid was made a Citizen of the Year in Albany in 2000. Her nomination for the award included 11 letters of recommendation from the various organisations to which she gave her time. "A volunteer can't be a volunteer unless there are a lot of helpers," Enid told the Albany Advertiser after receiving the award. "My main interest is working with the blind and I have a wonderful band of workers there and I just hope we can carry on." In 2009, she was awarded the Commonwealth Medal, though I dare say it never left the box. Enid was reluctant to receive the accolade at all.